A sleeper is this brilliant concept of cars, they may be as powerful as a nuclear power plant but from the outside things would be very much normal. 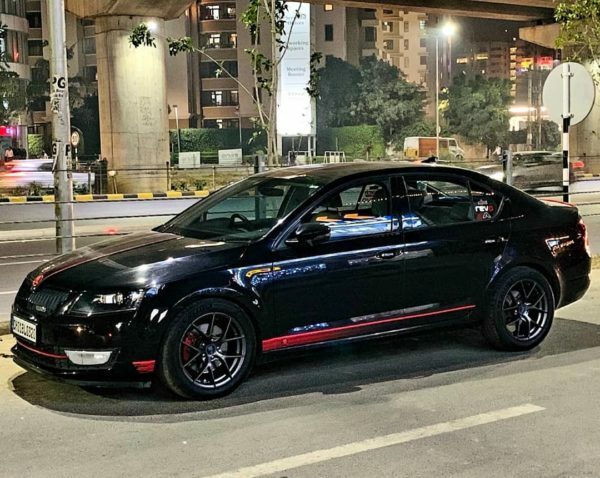 We present you one such sleeper, a Skoda Octavia, owned by petrolhead Jai Gupta. Agreed it may look like a normal Octavia but this is a monster ready to charge its prey at any second. There have been a lot of modifications done to this beast to make it what it has become now and here it is for you to see. While a stock Octavia 1.8 TSI makes 177 hp and 250 Nm of torque, this beast makes about 310 hp and 400 Nm of torque. What makes this car make it push out so much power you wonder? This is much more than a normal than a regular tune-up. This mod has required a lot of hardware than you can imagine. The 1.8-litre block remains the same but everything else in this has been changed or upgraded. The turbo now is has got an IS20 upgrade which includes a new Wagner tuning intercooler. The engine has been given a stage 3 code6tuning performance tune. To make sure the gearbox can handle this much power, it too has been given a stage 3 TCU tune which also offers launch control. Helping the engine breathe better is a Milltek decat downpipe with a 2.5-inch straight pipe and a Borla-S end can. The engine has also been fitted with a forged blow-off valve. EBC brakes help keep this monster in check. Eibach lowering springs give the car a nice stance and make it a better handler. Completing the package are beautiful 17-inch alloy wheels wrapped in Michelin Pilot Sport 4 tyres and a custom wrap job. Here are some images of the car for you to have a look at. 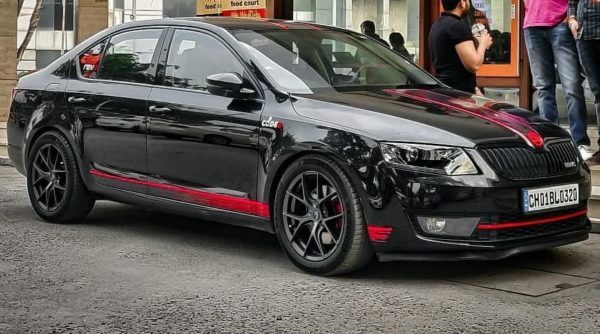 Do let us know what you think about this car in the comments.